Visit our new blog site at marinwater.org/blog. Following the launch of our new website earlier this year, we’re excited to move our blog “home” to marinwater.org. Since starting our blog on WordPress in June 2009, we’ve featured 53 authors, shared 707 posts, welcomed almost 93,000 page views, and carried on a conversation with our readers via 1,110 comments. And there’s much more to come: To keep up with our latest news, tips, and more, please visit our blog at its new home at marinwater.org/blog. You also can subscribe to the blog and other items of interest using our new Notify Me feature. The U.S. Environmental Protection Agency this month recognized the Sonoma-Marin Saving Water Partnership as a WaterSense Partner of the Year for its commitment to promoting water efficiency. The three water districts and six cities that purchase water from the Sonoma County Water Agency (SCWA), including MMWD, are members of the Sonoma-Marin Saving Water Partnership. SCWA is the partnership program manager. The partnership was honored for several 2013 conservation programs, including the 20-Gallon Challenge, which featured incentive prizes such as high-efficiency toilets and clothes washers, rainwater catchment and graywater systems, and custom water-wise landscape design in exchange for a pledge to save 20 gallons per person per day. Learn more about the Sonoma-Marin Water Saving Partnership and its programs here. Pick and choose the product categories that make sense for your home, and purchase one or more for a total rebate of up to $250 for all five. Purchases must be made on or after October 25, 2014, to qualify. Single-family and duplex residential customers are eligible. Rebates are offered on a first-come, first-served basis while funding lasts, so don’t wait! For complete details and to download an application form, visit our website. Ten months after the governor, and then MMWD, asked for reductions in water use, MMWD customers continue to respond well. Average consumption for mid-October 2014 was approximately 25% lower than it was last year. The total water savings achieved since the beginning of the year have helped to keep our reservoirs at close to normal levels. Reservoir Levels: As of October 19, reservoir storage is 49,579 acre-feet,* or 62% of capacity. The average for this date is 52,290 acre-feet, or 66% of capacity. Total capacity is 79,566 acre-feet. Rainfall: Rainfall this year to date (July 1-October 19) is 1.12 inches. Average for the same period is 2.33 inches. Water Use: Water use for the week of October 13-19 averaged 21.98 million gallons per day, compared to 27.86 million gallons per day for the same week last year. Creek Releases: During the month of September 2014 MMWD released 160 million gallons, or 490 acre-feet, into Lagunitas and Walker creeks in west Marin for habitat enhancement. Water use and reservoir figures are updated weekly and can be found on our Water Watch page. Coming Soon: Get Paid to Save with Five New Rebates from MMWD! 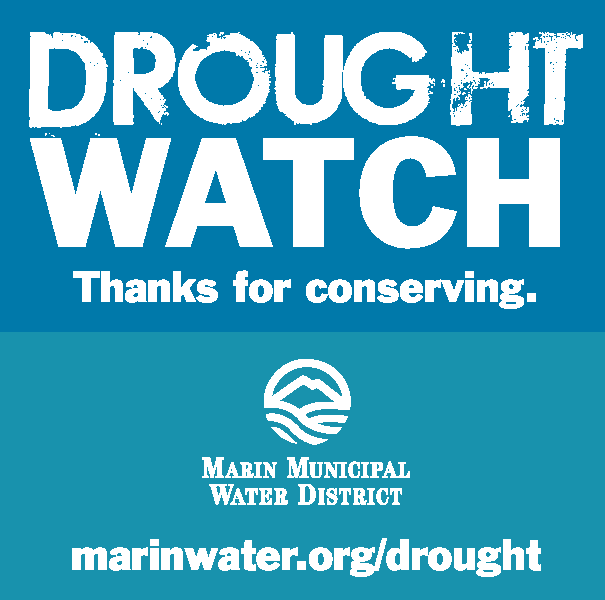 The Marin Municipal Water District (MMWD) is launching five new rebates to promote water conservation starting this Saturday, October 25, 2014. We’ll be offering rebates up to $50 each for pool covers, hot water recirculating systems, organic mulch, laundry-to-landscape graywater system components, and rain barrels. Customers will be able to pick and choose the product categories that make sense for their homes, and purchase one or more for a total rebate of up to $250 for all five. The rebates will be offered for a limited time on a first-come, first-served basis while funding lasts. Purchases must be made on or after October 25 to qualify. Single-family and duplex residential customers are eligible. Pool covers: A pool cover is a highly effective water and energy conservation device. Regularly using a pool cover reduces water loss due to evaporation by up to 95%. A pool cover also can shrink energy bills by preventing heat loss. Hot water recirculating systems: No more watching water go down the drain while waiting for the shower to warm up! Hot water recirculating systems use a pump and bypass valve to recirculate water back to the hot water heater until it reaches the desired temperature. Organic mulch: Organic, plant-based mulches such as bark, straw, or compost help retain soil moisture, suppress the growth of water-hogging weeds, and add nutrients to the soil as they decompose. Laundry-to-landscape system components: Reusing water from a clothes washer for landscape irrigation is one of the simplest, least expensive ways to “go gray.” Basic laundry-to-landscape graywater systems don’t require permits or alteration to existing plumbing. Rain barrels: Just 1 inch of rain on a 1,000-square-foot roof produces about 600 gallons of runoff. Rain barrels can be a great way to harvest some of this rain water to supplement irrigation needs. 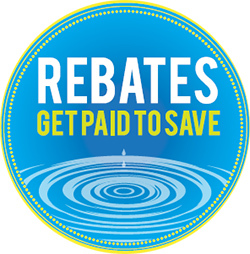 For complete details on qualifying products and how to participate, visit marinwater.org/rebates after October 25, or watch for more information in your November/December water bill. In addition to the new rebates, we will continue to offer rebates on high-efficiency toilets, high-efficiency clothes washers, and smart irrigation controllers. Visit marinwater.org/rebates to learn more. We have new stickers, fliers, and posters in English and Spanish to help you remember to conserve water and spread the word. The materials are free for MMWD customers. The sticker is 3 x 3 inches and can be placed on a mirror, wall, or window; it is “low tac” so it’s easy to remove. The flier and poster include the prohibited outdoor water uses that went into effect August 19. The flier is 3.5 x 8.5 inches. The poster is 11 x 17 inches. Click here to order online. Thanks for conserving! The Marin Wildlife Discovery Day will be an opportunity to learn about and celebrate the rich diversity of wildlife in Marin. There are over 150 species of birds that live and breed in Marin, our creeks support some of the best coho salmon populations in northern California, and our hills are home to California’s top predator, the mountain lion. Come enjoy hands-on science learning for the entire family! The event will be Saturday, October 25, 10:00 a.m. – 2:00 p.m. on “Children’s Island” in the lagoon at the Marin Civic Center. Parking will be available at the Marin Fairgrounds. Admission is free. 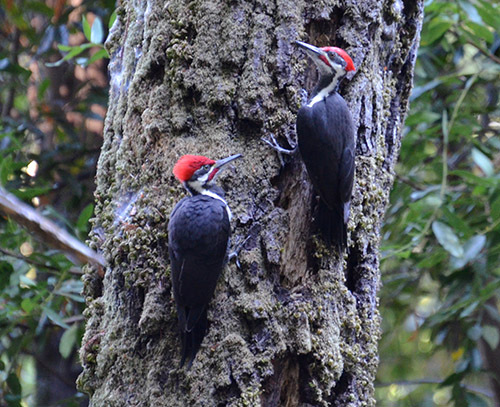 The Discovery Day will be hosted by many of the groups and organizations that work to preserve, understand, and protect Marin’s amazing wildlife. The event is organized by Marin County Parks with partners Marin Municipal Water District, Golden Gate National Parks Conservancy, River Otter Ecology Project, Felidae, Pepperwood Preserve, Project Coyote, Friends of Corte Madera Creek, College of Marin, Redwood High School-Next Generation, Manor School Green Team, and more.